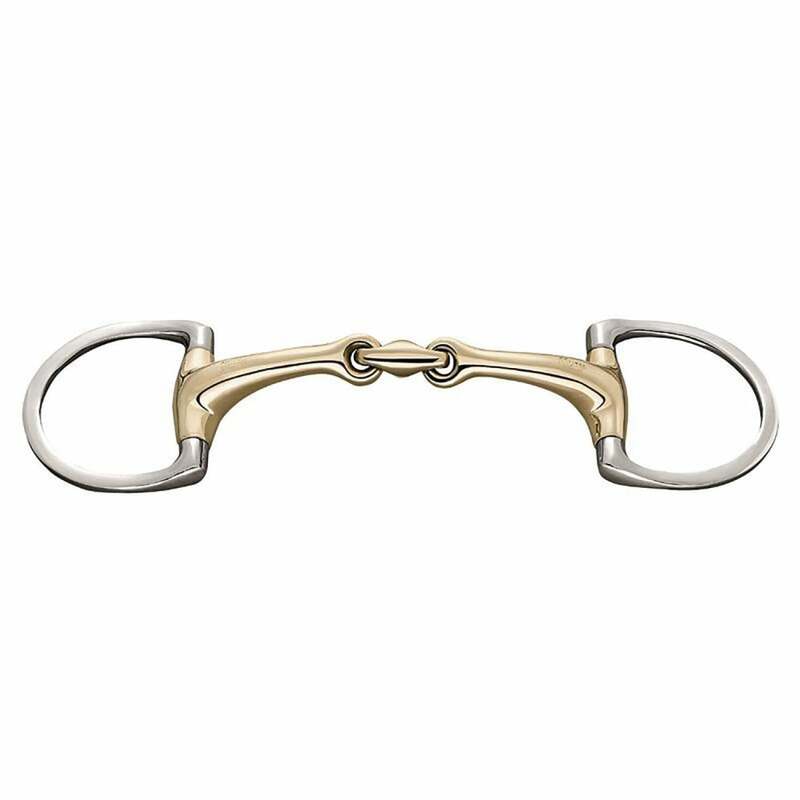 The Sprenger Sensogan Dynamic RS Eggbutt D-Ring 16mm Bit is ergonomically shaped to lie perfectly in your horses mouth resulting in a soft even pressure on the entire tongue area, encouraging the horse to soften. The curved joints ensure the bit remains in a correct central position. The fine lozenge gentle joint in the middle is angled forward by 45 degrees for clearly defined rein aids and a better contact between horse and rider. The Dynamic RS Eggbutt D-Ring Bit shape helps to support contact to the corners of the mouth in an effective way to help keep the horse on the bit making this bit suitable for horses who have contact problems. The D-ring Eggbutt ring will help with a horse who prefers the bit to be more still in the mouth as well as aiding a little with steering. The Sensogan® material used in the mouthpiece has been developed through years of research and development to improve the Aurigan metal used in original Sprenger bits. Sensogan® has a unique mix of Manganese, Zinc and Copper. The reduced Copper content with the introduction of Manganese results in a more regulated process of oxidation.